Yoga, like life, is a never-ending journey. There’s always more to explore and learn. 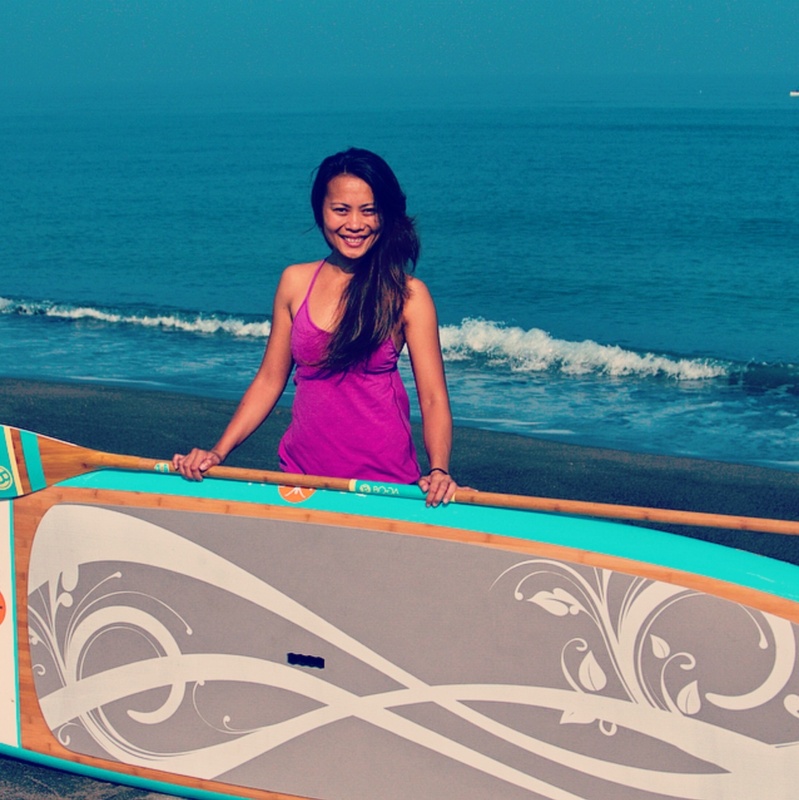 Every journey starts with a first step; Lalah took hers in 2008 while on a surf trip in Bagasbas Beach, Daet, Camarines Norte. The rush she received from that practice was intoxicating. She was surfing not only the waves but the clouds. It hooked her immediately, like a fish, that she went on to deepen her practice and immersed herself in the Ashtanga Vinyasa tradition and Vipassana Meditation. It was in May 2010 when she completed a 200-hour Ashtanga Yoga Teacher Training with Clayton Horton and Mo-Ching Yip. In March 2015, she completed a 20-hour SUP Yoga Teacher Training with Santosha Yoga Australia and was granted the license and title of Certified SUP Yoga Teacher. Every year since 2009, she attends and serves a 10-day Vipassana Meditation course as taught by S.N. Goenka, and until today continues to practice and study Ashtanga Yoga, SUP Yoga, Yin-Insight Yoga and Ayurveda. She attends workshops and courses as much as she can, learning directly from senior teachers such as Manju Jois, David Swenson, Nancy Gilgoff, Danny Paradise, Eileen Hall, Prem and Radha Carlisi, John Scott and Sarah Powers. In her classes, she intelligently and creatively weaves yoga and meditation principles with her Sports Science and CSCS knowledge to create a unique and well-rounded yoga experience that not only builds a solid core foundation but also promotes awareness, equanimity, loving-kindness and compassion. The ebb and flow of this journey has never been easy, but it has taught her that yoga, such is life, is not about attainment; rather it is an unending process of self-love, self-discovery, self-acceptance, and self-transformation. At the level of action, they translate into various expressions of effortless service to others and to all beings. These are her guiding principles for Aquanimous Yoga, and they are what she strives to impart in her classes today.